Walt Disney once said, “We keep moving forward—opening up new doors and doing new things—because we’re curious. And curiosity keeps leading us down new paths.” It’s in that spirit that guests this fall will have the opportunity to visit—or revisit—some of the most beloved Disney attractions of yesteryear. D23 Destination D: Attraction Rewind presented by H2O Plus will take place November 22 and 23 at Walt Disney World Resort. D23: The Official Disney Fan Club will bring Disney archivists, Imagineers, Legends, and luminaries together to celebrate fan favorites such as Adventure Thru Inner Space, If You Had Wings, and 20,000 Leagues Under the Sea with rarely seen concept art and images; vintage video clips; and hours of revealing stories. In addition, there will be a full day of presentations dedicated to the 1964–65 New York World’s Fair, which debuted beloved attractions like it’s a small world and Carousel of Progress. Early this morning, Aquatica Orlando “raised the roof” and topped off its newest attraction, Ihu’s Breakaway Falls. The more than 53,000-pound, 1,000 sq. foot roof structure was installed through the night using a 550-ton crane. With the signature Aquatica roof installed, the height of Ihu’s Breakaway Falls is just over 105 feet. 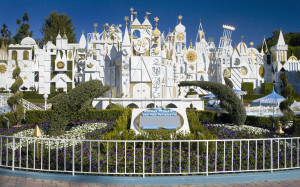 In a historic, global event, guests and cast members at Disney Parks around the world will unite in song to celebrate the 50th anniversary of “it’s a small world,” the classic Disney Parks attraction that opened as a tribute to peace and hope at the 1964 New York World’s Fair. Fans from around the world can join the festivities in a first-of-its-kind, online global sing-along at SmallWorld50.com. 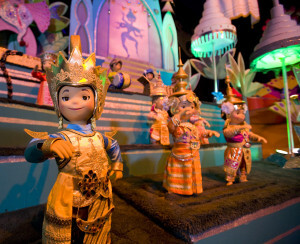 Around the world, Disney is celebrating the 50th anniversary of “it’s a small world,” which debuted at the 1964 New York World’s Fair as an exhibit to salute UNICEF (United Nations Children’s Fund). Since UNICEF is dedicated to the welfare of children all over the world, the theme for “it’s a small world” became an international voyage celebrating the happy spirit of children everywhere. 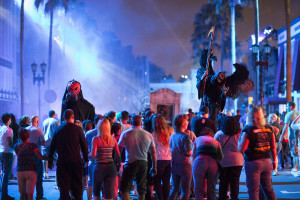 Mark your calendars… Halloween Horror Nights dates have been announced; the event will return to Universal Orlando Resort for its twenty-fourth year on September 19, with more nights than ever before and terrifying experiences based on some of the biggest names in horror and pop culture. On 28 select nights from September 19 through November 1, guests will explore eight blood curdling haunted houses, navigate multiple spine-chilling street experiences with terrifying “scareactors,” enjoy two outrageous live shows and experience many of Universal Studios Florida’s most exciting rides and attractions.